All orders are shipped via USPS Priority Mail. Delivery confirmation is included at no charge. Orders are shipped within 5 business days of being placed. 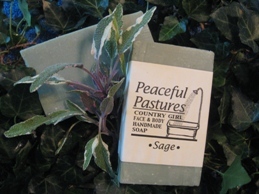 If we are out of a product and it is not expected back in stock within that time frame (soaps have to cure from 1-3 weeks before being wrapped), we will contact you. Once an order is placed, if it is cancelled, or items are deleted from the order, there is a 20% restocking fee. Custom batches are non returnable and non refundable. To receive wholesale pricing you must provide us with your wholesalers, or retailers licenses numbers. Refunds (less shipping) will be issued for unopened Bath & Body products returned within 10 business days of receipt and complete in their original packaging. Returned checks incur a $25 service fee.